Insightfulness™ is the point of all human change. Dealing with an intractable problem (which seems to be worsening despite what you do), whether in your organisation or society at large. Without an understanding of Insightfulness, your results will be unpredictable, unsustainable and in the low percentages of around 5-15%, from our research and experience. Realisation – this is the point where you become aware of a fresh thought, an insight that has an impact on your life. Usually, it’s ‘out of the blue’ and occurs when you’re least thinking about the problem in hand – for example by taking a walk or taking a shower or even playing computer games or during physical activities. However, it’s important to recognise that the activity doesn’t create the insight (that’s a coincidence), just that these are examples of situations where people are over-thinking less. This is often the result of a quiet mind, but can also occur during moments of great stress and overwhelm. It is almost as if the over-thinking shuts down and this allows a fresh thought or insight or realisation to occur. The essential requirement is to be in the game of life, as your mind needs something to ‘play’ with in real time. And the realisation works because it’s personal and is fully packaged to that person. Which is why someone else’s insight or strategy rarely works for us as it isn’t personal to us. And it’s essential not to pick apart the insight as that will quickly unravel it! Resourceful – once the realisation occurs, there’s a desire to change or do something and this is where the person becomes resourceful and when supporting resources and help programmes really comes to the fore. In fact it explains the positive outcomes of all interventions – whether that’s turning away from extremism, or going on a drug or alcohol rehabilitation, or weight loss programme: they work for the person who has the realisation to do something and what to do about their problem. At this point, their circumstances haven’t changed, but their mind has and this change provides the solution. 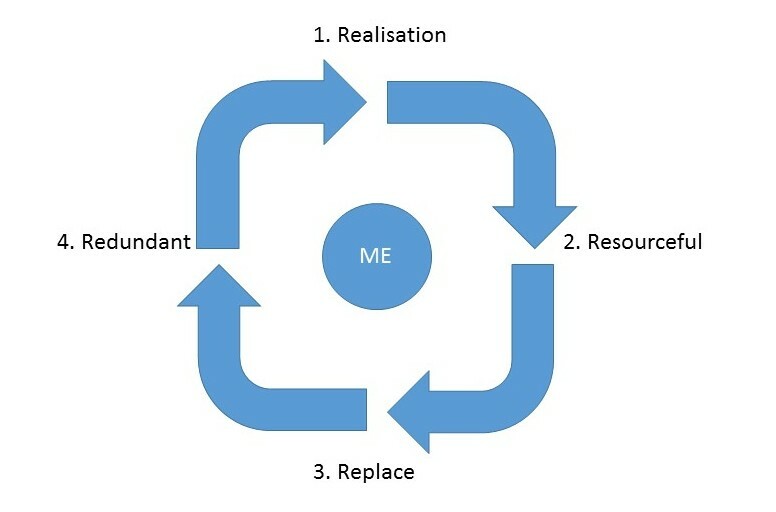 Replace – this is where the old behaviour falls away and replaced by the new one. And herein lies a key distinction: they are not using willpower to force through the new behaviour to overwrite the old one. Instead they find themselves doing the new behaviour and taking action because it makes more sense to them. This is the answer to the question how will I know what works? You’ll find yourself doing it without thinking about it. And at this the point, having an array of interventions and support from agencies and organisations is really useful, whether that is to find a job, or take up a sporting activity, or re-engage with studying, or volunteer in the community. Redundant – this is simply the old behaviour (or pattern) falling away by being naturally replaced by the new pattern of behaviour. There might be some stretching and testing involved to find out what works, but the person is now self-determined and resourceful to find new strategies to do that. This is what we teach at Headstuff™. Our only interest is helping you make problems go away. And everything we teach stays with you. We don’t want you coming back to us to solve the same problem, but under a different guise. That’s of no interest to us. But if making problems go away interests you, then get in touch for a conversation.